On Saturday April 11th 2015, over 200 San Diego youth took over the streets of Barrio Logan to take a stand against all violations of human rights, to reject state terrorism, and to defend OUR right to a College/University education. 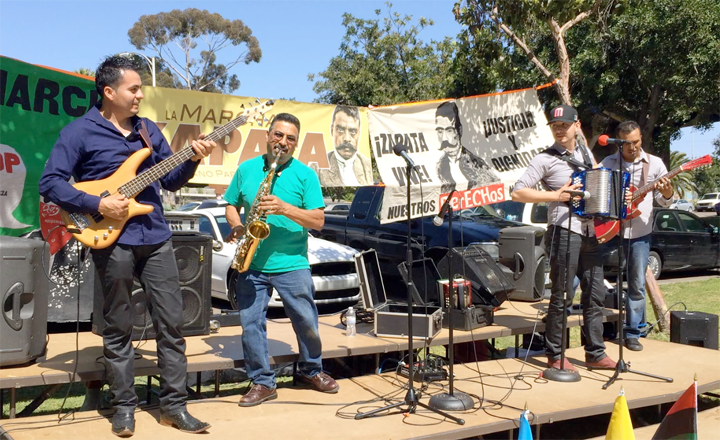 The event included cultural and political performances, from the hip-hop group Los Salvajes, Danza Azteca Calpulli Mexihca, Grupo Partida Norteña, DJ Wicho, the Somos Raza Escolta for the Mexican Flag, and political speeches from numerous community members. 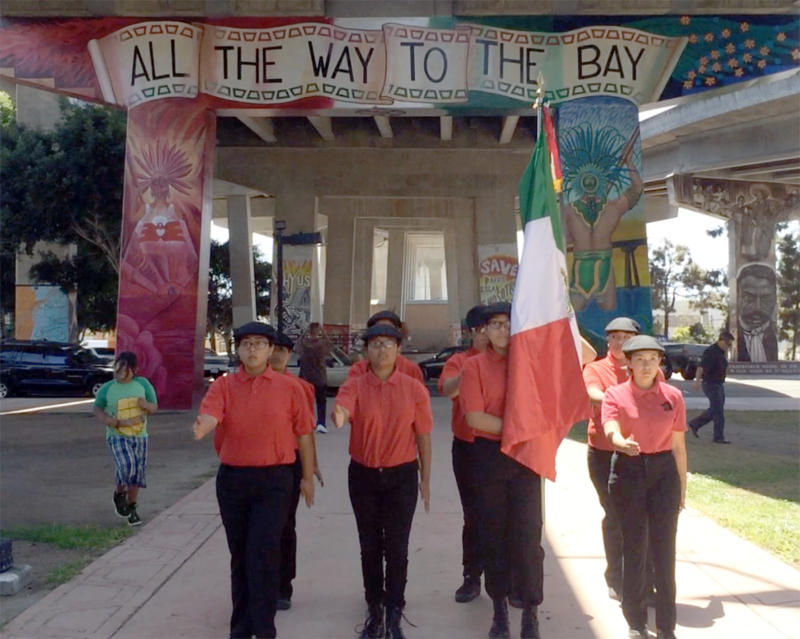 This event marked 11 years of San Diego-based organized struggle in memory of the Mexican revolutionary General Emiliano Zapata. The overall goal of the Marcha is to pay respect to the memory and legacy of struggle of Emiliano Zapata who was killed April 10, 1919. 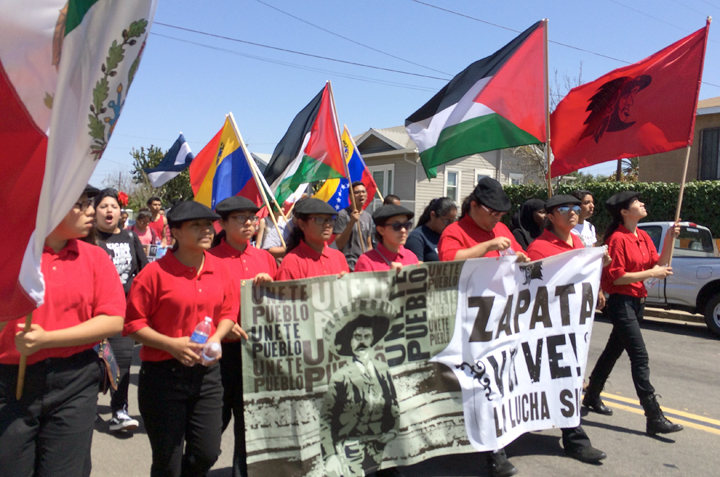 The best way to honor the memory of Zapata is to develop a culture of resistance, organizing, and unity among barrio youth. 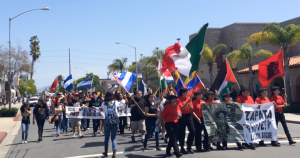 Organized in San Diego every year since 2004, the Zapata March has been a conscious process of working to bring together youth oriented groups from throughout the region. The 2015 organizing committee consisted of M.E.Ch.A de SDSU, Southwestern College, University of California San Diego and Union del Barrio. This year’s theme, “What’s Next? !,” was intended to promote the importance of organization in our communities. As youth organizers, we recognize that in order for our communities to achieve full liberation we need to organize and mobilize our communities. Although it is very important, “activism” alone is a limitation. Protesting or marching and then going home serves to bring awareness and demonstrate solidarity, but it does not offer a concrete solution to the systematic issues that continuously oppress our communities. The question, “What’s next? 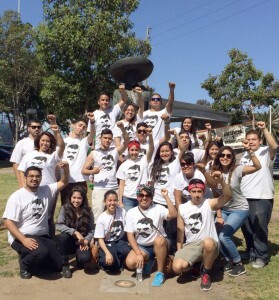 !” is intended for us to ask ourselves what happens after or before the Zapata March? Are we constantly working towards self-determination and liberation of our communities from all forms of oppression? As a collective, we acknowledge the importance of being conscious, fighting, and organizing towards the liberation of our communities. We are students, but most importantly we have to be organizers and builders of community-based power. 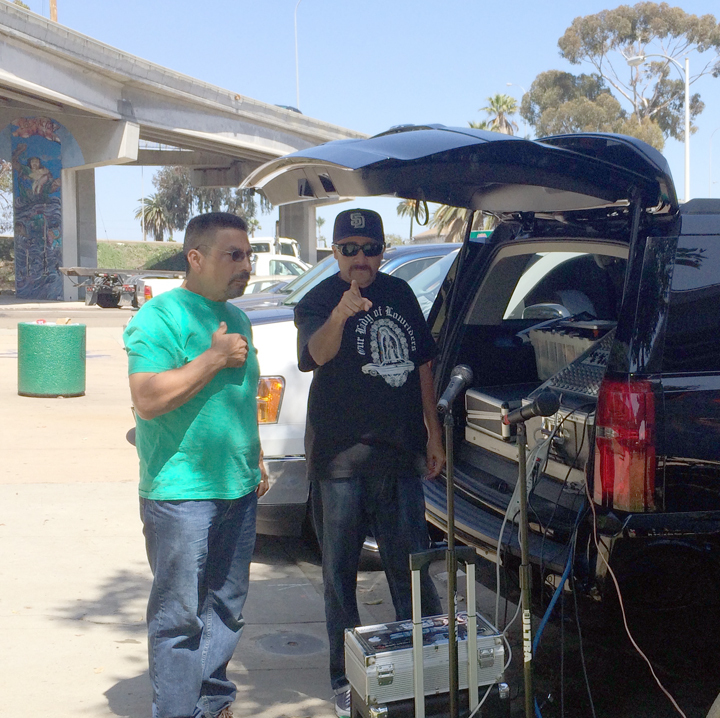 This entry was posted in 2015, Barrio Youth News & Events, Cultural News & Events, Higher Education News & Events, K-12 News & Events, Local Community News & Events, México, Police & Migra, San Diego News & Events. Bookmark the permalink.